Are Conferences Really Worth the Cost? From left to right: Nic Reid, Dr. Michael Brown, and Isaac Kracht at the Naperville BBLA. Usually people see conferences as a waste of a weekend. Time spent away from their normal, fun weekends. In all honesty, who wants to sit in a meeting all weekend? Many members of a fraternity would rather stay home, spend the weekend with their friends and have a good time. What people don’t understand is actually how enjoyable Phi Kappa Theta conferences are. By having the opportunity to attend our weekend meetings, whether regional or National, I have learned more about myself and have been able to change my life for the better. The first time I went to a Phi Kappa Theta conference was last August in Orlando. I had recently finished my freshman year, was working full time, taking summer classes and having to finish writing our petition to charter. My first thought was, “I am the only one who can go to this meeting and how in the world am I going to find the time and money?” The answer of time was helped by my boss, who allowed me to take two days off (when I really wasn’t suppose to have any days off) to go to Orlando. The money aspect was funded by our alumni, who I am so thankful to this day that they did. It seemed as if there was a reason, an outside force that wanted me to go to Orlando, and I am so grateful I got the opportunity. Travel became a hassle to arrive at Orlando (I had a total of 7 hours of delay), so I unfortunately missed the opening on Friday. The next day, I entered the room with no idea of who anyone was, as I was the only representative from the University of Iowa there (which is the best school in Iowa, but that’s another article). The first man I met at breakfast was an alumni named Ross Walters (University of Louisiana, ‘02). As he offered me the top-secret, highly classified, shall not be named handshake of Phi Kappa Theta, he did not realize that I was from Iowa and had not yet been initiated. As I did not know the handshake, he reached back in shock as if he had just touched a leper and started questioning if I was a Phi Kap. I explained that I was from Iowa and we were currently rechartering, and he laughed and joked with me the rest of the weekend. Over the weekend, I made connections that have carried on throughout my life since. I met BRUCEEEE, legally known as Bryce Frey (Iowa State University, ‘20), the Iowa State representative. We have gone on to continue communicating and planning Iowa vs. Iowa State events. Another important person I met, who I recently saw again at the Naperville BBLA, was Dr. Michael Brown. If you have not met Dr. Brown, I recommend that you make every effort to. Not only is he the only man I know that puts peanut butter on cheez-its, but he is extremely intelligent and a great brain to pick. He is also one of the most caring people you will ever meet and always ready to have a conversation. I also was able to meet all the National Staff and several Alumni who I had never met in person, including Johnny Hohenstein, Robert Riggs, Doug Dilling, Adrian Gonzalez, Sarah Everhart and so many more. The most impactful part of the trip were the meetings, but the most memorable part were the nights. Brothers from all over the country would gather at the pool or in the lounge, telling stories of their own chapters and talking about solving theirs and others chapters problems. Of course, at the same time joking with each other and becoming close friends. I can honestly attest to that being one of the best weekends of my life, and I am still in contact with many people who I met at IMPACT18 in Orlando, FL. The reason that I brought up Orlando was that recently my brother, Isaac Kracht from the University of Iowa, and I attended the Naperville BBLA. I’m sure when I told him to go with me he thought the same thing as me: “oh great a weekend away from Iowa city, why in the world would I want to leave here for Naperville?” But being the kind guy he is, he accepted to come with. I knew from talking to Johnny Hohenstein, that Dr. Brown was going to be there, and Isaac was going to love talking to him. The weekend went very much the same way as Orlando, a great experience with a large impact on my life and good times with other chapters. Talking throughout and after the weekend with Isaac, I could see it had a resounding impact on him too. We talked about deeper things that we had never talked about before, and he seemed energized and excited to start a new approach to life. If you have the opportunity, I highly recommend making a trip to a regional or national conference. If your chapter can, implement it into dues so that everyone can go! Or, you could plan to have Dr. Brown come for a weekend and speak to your chapter. Regarding my clickbait story title? Phi Kap conferences are indeed worth it. Whether you desiring to become a better version of yourself, or interested in meeting other brothers from around the country, I promise it will have a lasting impact on your life. Hotel reservations will be made for you upon registering for the event. Ross Walters (University of Louisiana, ‘02) as a Collegiate Brother. My journey in Phi Kappa Theta started at the University of Louisiana at Lafayette in the Fall of 1997. During that fateful September I was introduced to several active members of the fraternity, and ultimately made the decision to join our esteemed brotherhood shortly thereafter. Despite only knowing two members at the time, I was compelled to join from the beginning and have never looked back. I went on to serve in a variety of collegiate positions within Louisiana Omicron, including two years on the Executive Council, and two years on the University’s Interfraternity Council. Through my involvement in Greek Affairs I was provided the opportunity to travel to various National Conventions, where I have discovered my long-term passion for serving Phi Kappa Theta. Now, as a current member of the Board of Trustees, I have met countless Alumni members, as well as many Collegiate members over the years. These introductions have become the highlight of my travels and have led to long lasting friendships that will certainly span the test of time. The last two years I have ended up sitting next to members of our chapter from Washington State University, and both years these guys have extended an invitation to me to visit their campus in Pullman, Washington. Ross Walters as judge for the Miss Washington USA Pageant. 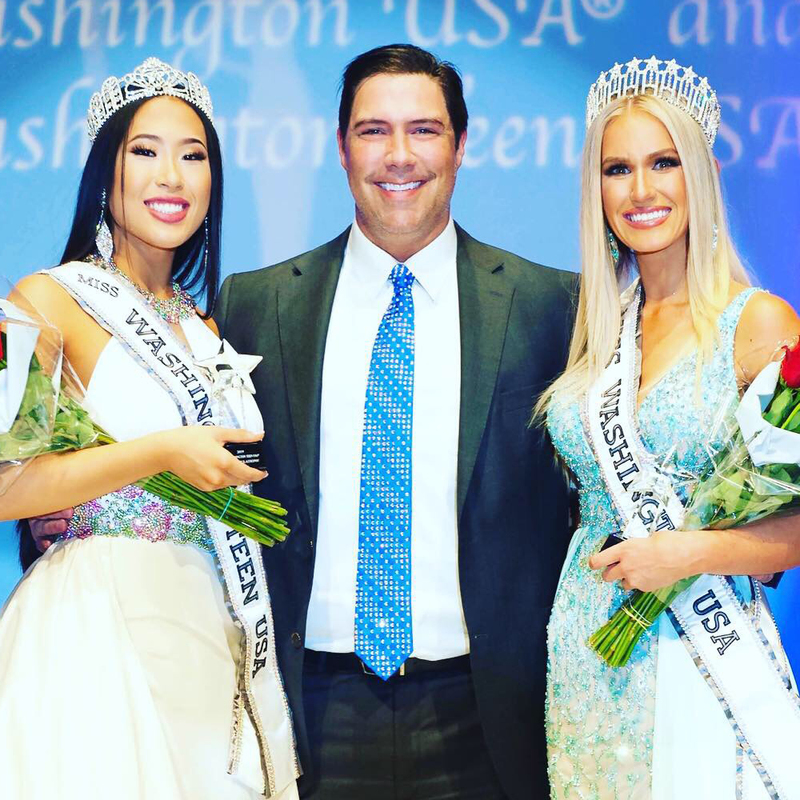 As it turns out, I recently found myself in Seattle serving as a judge for the Miss Washington USA pageant (long story…) and I thought it was a great opportunity to get to Pullman for a visit. So after confirming my visit with chapter leaders, I bought my Alaska Airlines round trip ticket from Seattle to Pullman for a quick overnight stay. I knew it would be an interesting experience upon arriving at the Seattle Tacoma International Airport and coming face to face with the very small aircraft that would be serving as my transportation to Pullman. After a 45 minute flight across the state of Washington (and great views of Mount Rainier), I arrived safely at my hotel (The Residence Inn, a very nice place to stay in Pullman if any of you are interested). A quick Uber ride and I was at the Phi Kappa Theta house on WSU campus. I have heard how impressive this house was over the years, and I was not let down. Upon walking in I was greeted by a dozen or so current collegiate Brothers having lunch. I had a few minutes to sit and talk with them before Brother Tanner Moyer (WSU, ‘19) met up with me and brought me to a hot lunch spot in Pullman, The Coug. Joining us was Monique Nianekeo, a member of Alpha Chi Omega Sorority at WSU. Over our lunch the three of us discussed various issues which were having an impact on Greek life in general. Monique was also able to provide valuable insight from a sorority perspective, which I truly appreciated. Ross Walters (right) with WSU Collegiate and Alumni brothers. After lunch we headed back to the house for the weekly chapter meeting. I got a quick tour of the house from President Hogan Leffel (WSU. ‘20) before the meeting started on time. I was given a very warm introduction to the membership before giving a report on current National Fraternity business. Sitting through the rest of the meeting I was struck with the similarities of issues facing this chapter and other chapters around the country. While personalities, size of individual chapters, financial statues, etc… may all be quite different, it is apparent that we all share common attributes which bond us over geographical distances. I admit, this made me smile to myself knowing that the ideals of the Fraternity are what keep us together. After the meeting, I went with Hogan and Tanner back to The Coug where we met up with former chapter president and current alumni member Kyle O’Malley (WSU, ‘17). We had a great conversation, discussing Fraternity topics well into the evening. I probably stayed too late as my return flight to Seattle was at 4:00 a.m. the following morning. On my very early return flight I was able to reflect on my 18 hours in Pullman and realized how pleased I was with my decision to make the trek to visit our Brothers at Washington State University. If ever you have the opportunity to visit a city, town, or region where we have a chapter of Phi Kappa Theta Fraternity, I challenge you to take the first step in trying to coordinate a visit. It’s these bonds and friendships that I have made over the last 21 years that have kept me coming back for more, and will hopefully keep me involved in this fraternity for many years to come. Ross Walters earned degrees in business management, biology, funeral service and embalming from the University of Louisiana and Texas Commonwealth Institute. Ross currently works in his family’s businesses, Walters Funeral Home and Greenlawn Memorial Gardens cemetery. He also owns a production company called XLR8 Productions. Ross volunteers for the following organizations: Louisiana Metropolitan Expressway Commission (board member), Cite’ des Arts (board member), University of Louisiana Alumni Association, Louisiana Funeral Directors Association. Ross was selected as the 2000 Greek Man of the Year for the University of Louisiana, and also was an Outstanding Graduate at Commonwealth Institute. Brotherhood (n): An association, society, or community of people linked by a common interest, religion, or trade. Phi Kappa Theta – Love, Brotherhood, God. Brother Kyle Bueno (Bridgewater State University, ‘18) (center). Those were the three words that united myself and my brothers together to form this brotherhood. As I write this on the 5:57pm commuter train out of South Station, Boston, MA, and heading to Middleborough/Lakeville, I begin to reflect on the good, the bad, and ugly times from my chapter. I am fortunate enough to have ended my collegiate experience on a good note and kept the faith for better days ahead. The experiences I am about to write to you all have helped shaped me into the man I am today. It has made me realize I need these traits in order to not only be a good brother, but a gentleman. Honesty (even if it may sting), Integrity, Loyalty, Respect, and Compassion. I begin the journey of my Greek Life experience as a second semester freshman. At first, I was hesitant about seeing what other fraternities had to even offer as I was thinking about how the movie Animal House depicted all Greek members as 24/7 partiers. That was not the college experience I wanted to have. But, nevertheless, my best friend from high school Jacob Bolarinho (past sage of Sigma Pi), encouraged me to join him and keep an open mind. So, I did, and I am beyond grateful to take that giant step out of my comfort zone. Now, not to say the other organizations weren’t welcoming, because I have some amazing friends from other fraternities, but I felt more included in Phi Kappa Theta because the men whom recruited me were involved in various facets of campus; from Student Government Association, to Residence Life and Housing, to even working on campus. I wanted to be involved as much as possible. To this day, I do not regret my decision to join this amazing organization. Kyle Bueno helping build a house in Connecticut. Spring 2017. At my first chapter, I was feeling mixed emotions. I was so excited for the unknown, but nervous as hell, praying I wouldn’t get hazed or see anything like Animal House. I let those fears subside and looked for ways as a new member to get involved. I knew I always had an interest in service, so I ran for Community Service Chair and won the position. In hindsight, I couldn’t even imagine seeing that position springboard me into serving as Vice President of Social Development and later on as President. Serving as Community Service Chair for the chapter had in no way prepared me for what was to come as Vice President of Social Development. It is still known as one of the biggest positions in the chapter as it oversees Philanthropy, Social, Community Service, Public Relations, and Risk Management. Yes, Risk Management. When I started, I had no idea how to talk to brothers who would do things that broke FIPG rules. One of the biggest areas needing improvement was social media. Our social media was so horrendous that it became a mini part of a larger conversation we had as a chapter at Fireside. Which, as a second year, I absolutely regretted. Up till Junior year, our Fireside events would always be viewed as shouting matches between brothers. It would bring our morale way down and I mean, waaaay down. I realized a central part of what was missing was brothers understanding each other. We needed to speak with each other as brothers, not as Presidents or Vice Presidents, just brothers. It was at this point I realized Phi Kap wasn’t what was told to me at recruitment, but I wanted to do something about changing it. I would be lying to you if I only wrote about all the good times I had as President of this organization. There were really tough moments I, and brothers on the E-board serving alongside me, had to experience. I also was working as a Resident Assistant, part-time at the information desk and serving as Student Trustee. It was a lot on my plate, making me realize the importance of self-care (which I’ll explain later). But I am proud of the work our chapter made in making it better than in years past. We were able to fill our calendar with an abundance of events from brotherhood, to philanthropy, and socials. We even made Fireside enjoyable. However, I came to a point during my tenure when I wanted to just give up. It was during the summer before entering my senior year where we were going to hold our annual Quo Vadis retreat. During that planned day, a torrential downpour hit our campsite and I decided to cancel the event altogether. The next day, however, turned out to be amazing outside; sunny and hot. I was so disappointed with myself because I felt I let the chapter down. So, I did not realize how my careless attitude brought negative energy towards the chapter. Morale was low, brothers were forming clichés, rumors were even spreading. 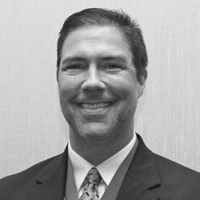 In order to help tackle this, with the help of Executive Vice President, Robert Riggs, CAE (RPI, ’02), we decided to create an in chapter brotherhood event. We set up chairs in a circle and talked to each other about our feelings, aspirations in life, etc. 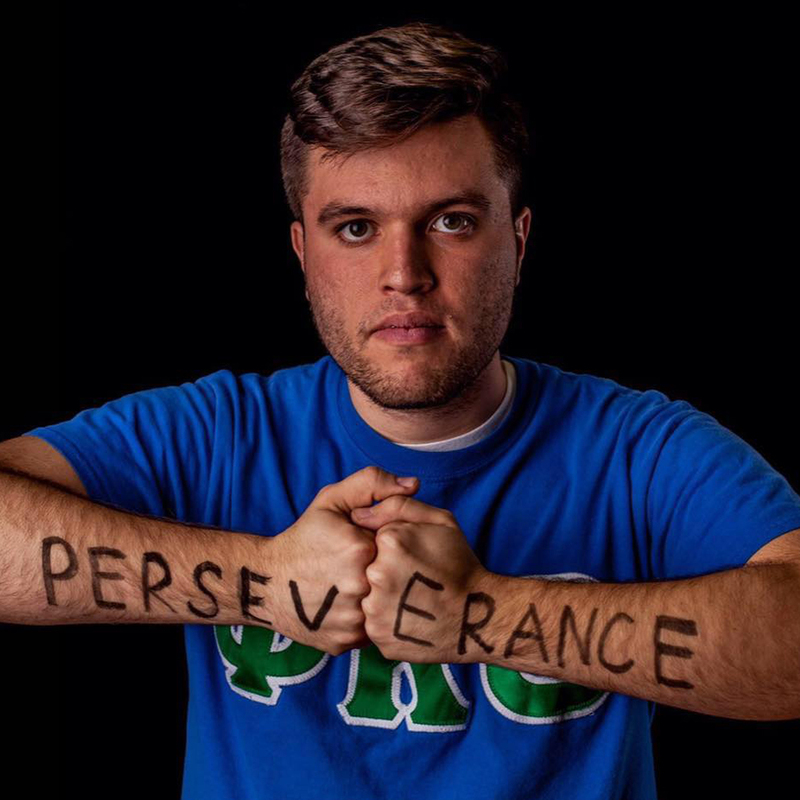 Brother Kyle Bueno (Bridgewater State University, ‘18) participates in the interactive storytelling/portrait shoot project to unify his campus. Spring 2017. It was at this moment I felt I needed to get something off my chest and explain what was on my mind. I felt comfortable enough to come out to the chapter. It was the first time I ever spoke about it to anyone. It was because of this constant weight, and the other positions I had on campus, I did not have time to reflect on my own life. It was so nice to just take it off my chest and what was going on in my mind. I learned a big part of leading is being honest with myself, to others around me, and having integrity. It was because of this, I, alongside the E-board, noticed a change and carried through strong towards the end of the semester. Some people may ask themselves, “is there anything I would have done differently in college”? For me, the answer is no. It was because of all these experiences during my 4 years at Bridgewater State University, I am the person I am today. I realized I am a better friend, person, and brother because of the experiences I have dealt with and, in return, volunteer my time back as a Performance Coach for chapters in the Northeast. I realized how important it is to not stretch yourself too thin and to stay humble. For those reading, I hope you too can love yourself as much as I can, are loyal to your brothers, friends, and family, and lead as REAL gentlemen should, with honesty and integrity. TBIS. Main Image: Kyle Bueno during a service project to Cambodia. Spring 2018.